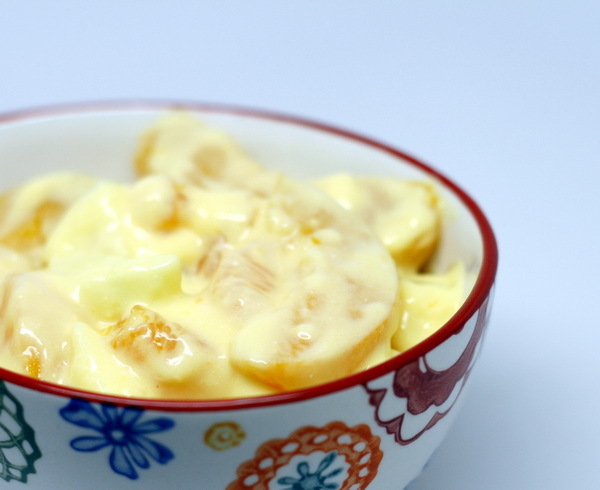 This makes a really different dessert – instead of just pudding or just fruit – you have a creamy pudding-ish base with tons of yummy fruit thrown in. Very refreshing and very different ! Mix fruit in a bowl. Whisk milk with pudding and orange juice for 2 minutes them mix in sour cream. Fold into fruit then cover and refrigerate.